Within every picture lies innumerable stories—stories to remember, stories to inspire, stories to impress, stories to console, stories to connect people back and relive a moment. 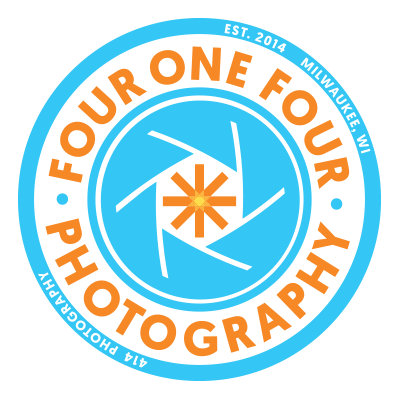 414 Photography strives to produce raw, dramatic, genuine, and beautiful art that tells the photographic stories of the diverse people in the greater 4-1-4 Milwaukee area, the inspiring city we call home. We’re committed to an accepting, fun, relaxed, client-centered experience where we can capture the best versions of your private, public, and professional lives that’ll excite you as much as us. From candid wedding shots to business portraits, we want you--our partners--to feel like you’ve never looked better, prouder, or more confident. Share an experience. Preserve the memory. Tell your story. 414 Photography’s story began in 2013, and we hope to share, preserve, and tell part of yours in 2018 and beyond. Follow us on Instagram to see the latest and greatest.